If you are an employer who have employees who incur expenses in the process of doing business, an excellent way to watch those expenses and control costs is with corporate credit cards for employees. Used correctly, corporate credit cards can help you to achieve many of your business goals. Unfortunately, they can also prove to be the undoing of both you and your employees as they pave the way to corporate free fall, or at least a few rungs down the ladder. What is a Corporate Credit Card? Corporate credit cards are a group of arrangements that are separate and distinct from personal and small business credit. A company can provide its employees with corporate credit cards to charge approved, business-related expenses, usually of a travel nature. A corporate credit card is normally issued in the company's name and with the employee's name on it. Unlike personal and small business credit cards, corporate credit cards are issued by only a few organizations. They are also issued directly between the business and the issuer. Regardless of where a corporate credit card comes from, it should be accepted with a full understanding of how it works. This goes not only for the person using the card, but the company as well. This prevents a lot of misunderstandings that can cost everyone. First among these is who is responsible for payment. Some cards carry the provision that despite being a business credit card, the employee is responsible for making sure that payment is made. For others, the company an employee works for is responsible for the payment. One of the primary benefits of using corporate credit cards is the fact that they allow employers to more closely monitor the spending of their employees, especially when they are out of the office on travel. Any company that issues a corporate credit card should make sure that their policies regarding procedures, spending limits, and restrictions are understood and followed by employees. For example, certain costs such as airfare and car rentals may be placed on the credit card, while those such as fuel and toll costs are to come from an employee's pocket. Employees should also understand that even when charges of a specific nature are approved, limits may still be imposed on them. Rules such as this can be applied broad brush or according to certain categories of merchants. For example, a company might approve a certain spending limit for meals, especially when clients are being entertained, but if the same representative decides that he wants to send flowers to a client, that might not be allowed. Prior restrictions on the spending for a card can limit that type of expenditure. Whenever a corporate credit card is issued, there should be some understanding by the employee of how that card can be used. Some companies even provide training classes on the use of corporate credit cards so that the background information on their use is common to everyone and nobody can say that they weren't aware of issuing rules. 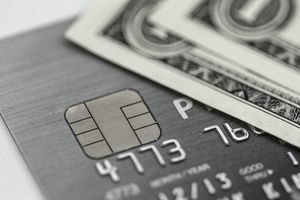 A primary danger of corporate credit cards is when employees mix personal and business usage. Obviously, at no time should a personal expense be charged against a corporate credit card. Fortunately, with the right controls on that card, these kinds of spending problems can be controlled and eliminated. In most cases, these problems occur when an employee wants to skip the hassle of making two different transactions at the same time, thinking "I can reimburse the company later." On the other hand, in many cases this reckoning never takes place, and it sets the employee up on a collision course with management of the company. If there is an upside to the use of corporate credit cards, it's the ability that companies have to keep employees aware that they are being watched. This should not be a matter of concern, however. It should place employees on notice that their spending in the name of business is important, and that they should exercise common sense in the way they spend the company coffers. Anything else only negatively affects a company's bottom line, which affects the employees as well. What's the Easiest Business Credit Card to Get?